I’m sure I’m not alone on this topic–sometimes my blowout or curls look deflated by the second or third day. Since I’m trying to give my hair more volume in 2016, I’ve been experimenting with ways to maximize my style so I can focus on wearing it–not creating it. 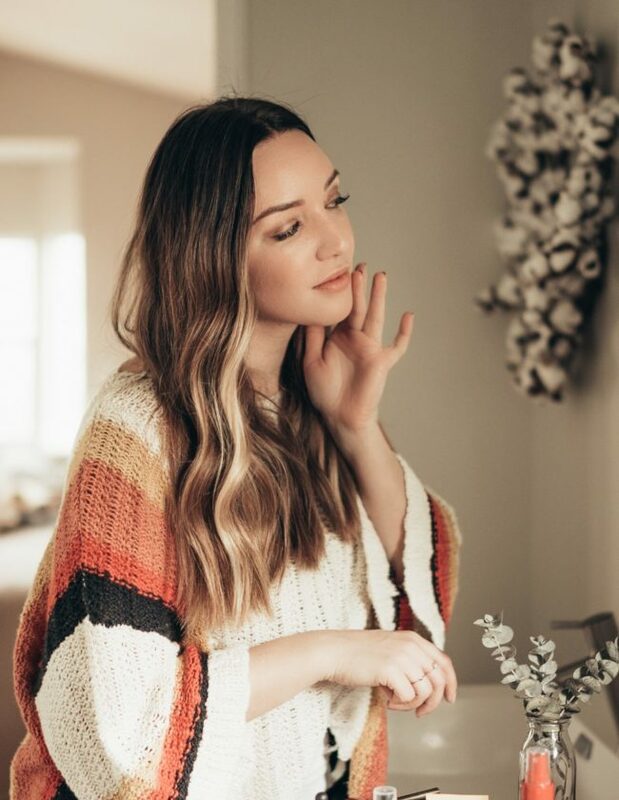 In order to extend the play of our hairstyle, I’m sharing my quick tips that take less than 5 minutes to refresh your blowout or curls…check it out! 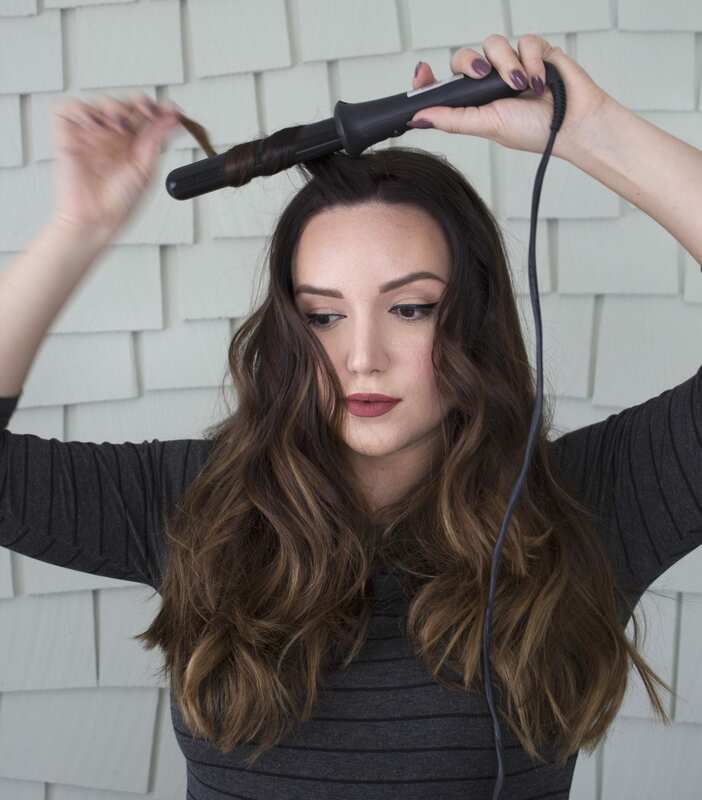 For this refresher tutorial you’ll need a curling rod (like mine from Sultra), heated brush or stylewand (like this one from Paul Mitchell), and a volumizer hair spray like this TRESemme Beauty-Full Volume Flexible Finish Hairspray. I picked this up at Meijer during my Chicago trip a few weeks back and love that it adds body to my roots without leaving my style crunchy. Starting with second day hair (and in my case…just woke up! ), I like to give it a shake to loosen it up and untangle. Give yourself a few finger-combs to prep to get ready. Next I spritz my TRESemme Beauty-Full hairspray at my roots to add body and volume at the root, a major key to making your style look fresh. 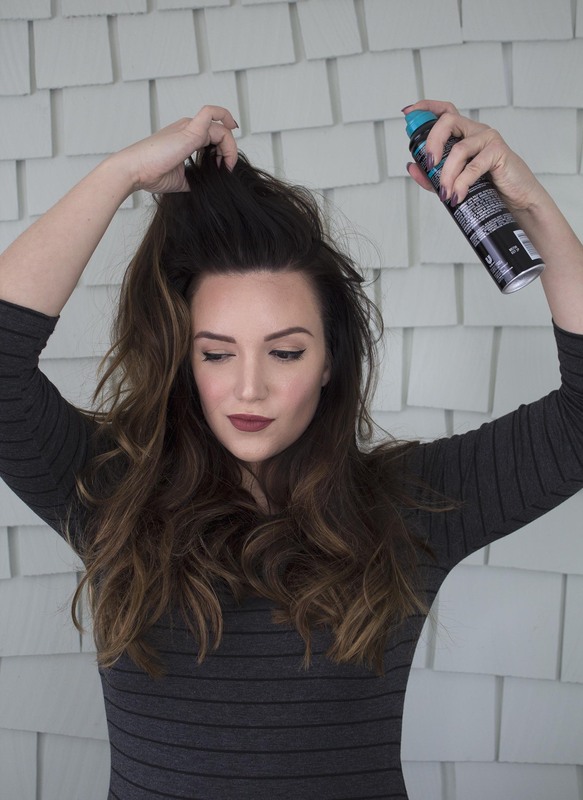 Be sure to hold the can 8-10″ away from your roots for even coverage and to avoid over-saturating your hair. Once the hairspray has had a chance to dry, I use my heated styling brush to brush my roots upwards and hold for 5 seconds each time. This tool is great because its like a hairdryer and round brush rolled into one. Continue brushing upward and holding to smooth out any bedhead and providing lifting volume. Once the roots are volumized, I give my curls a boost by adding a few fresh ones to frame my face. Here I only added two curls on each side, but you can add more if you feel the need. Almost done! Once my added curls have cooled, I give my hair a shake to work everything into place, and give myself an all over spritz of TRESemme. 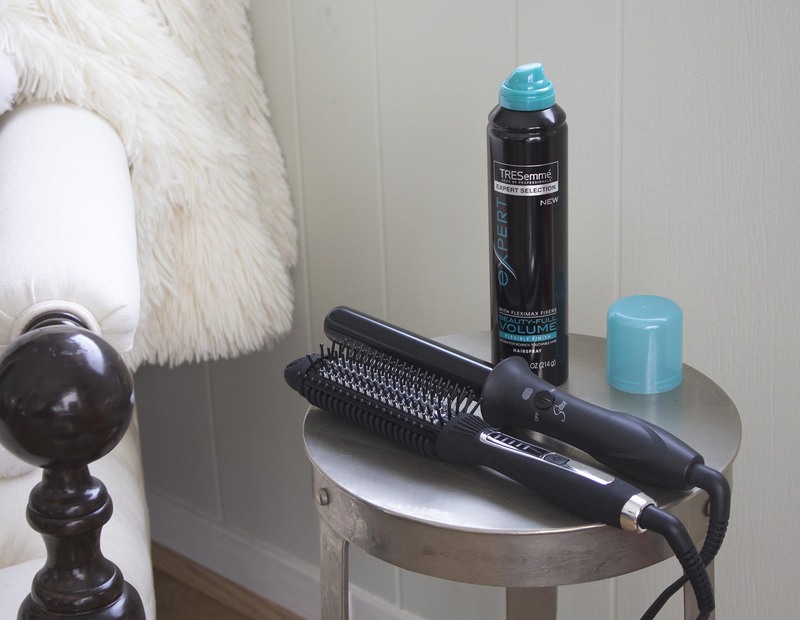 There you go–your blowout or curls look brand new! What are your hair tips to extend your hairstyles? Any new years resolutions for your haircare or style? If you’d like to give this TRESemme Beauty-Full hairspray a try, you can find it on sale at Meijer! Buy any 2 Suave or TRESemme shampoo or conditioner, get $2 off any Suave or TRESemme styling products. 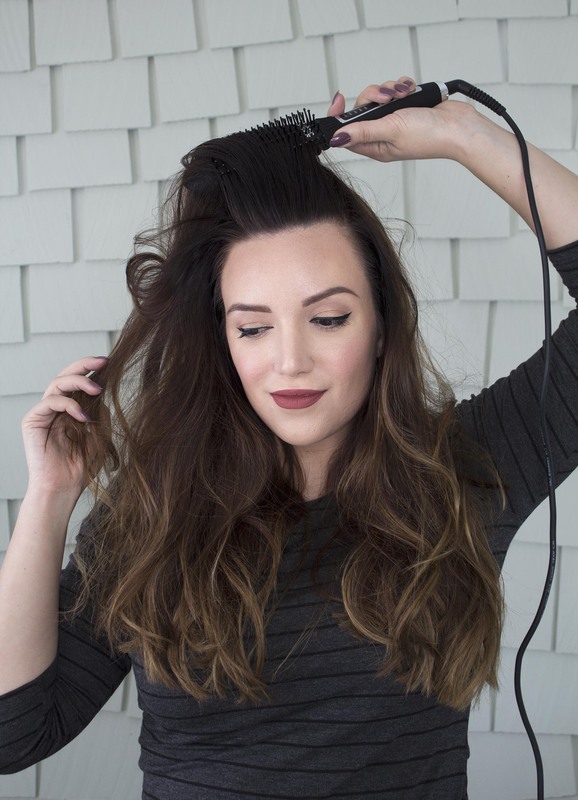 Loving these tips on how to refresh a blowout? Click here now for more beauty favorites! This how to refresh a blowout post is sponsored by Lunchbox, all opinions are my own. This hairspray smells amazing! You make it look so easy! Your hair is absolutely gorgeous. I need to pick up some volumising spray…pronto. Yes! I love my blowout but doing it is a pain. If I could get a third or even fourth day out of it I would cry tears of joy! Great post and I love your photos! I’m still getting used to using my wand for curls. Any tips? It does take some getting used to! 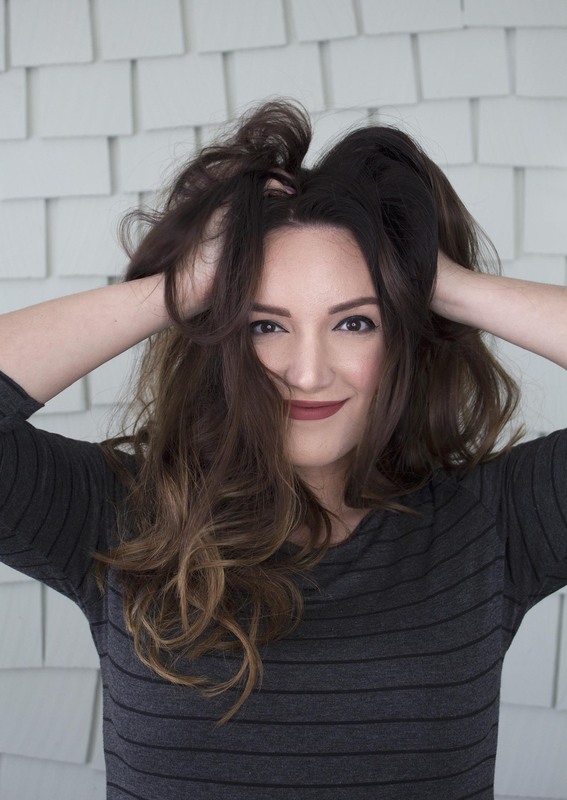 Here are two other curling wand tutorials I’ve done, lots of good tips for reference! Great tips! It’s so easy just to recurl a few pieces of hair to make your style look fresh! 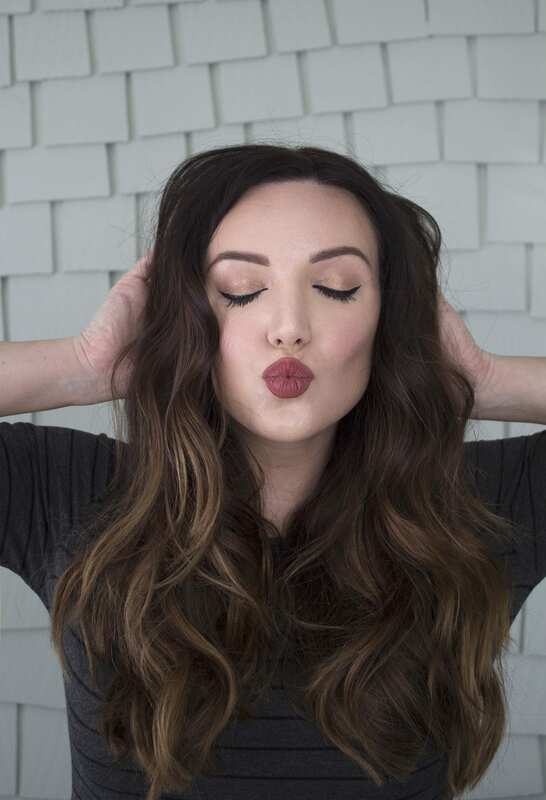 I need to try these tips and tricks next time I get my hair done! I wish the salon blowout would last forever! Where did you get the heated brush? Also, do you feel like you can use it in the place of a blow dryer? I’m trying to find an alternative for using my flat iron and I don’t know how to blow dry my hair properly! I tried a similar brush from John Frieda but returned it because it left my hair very frizzy. Thanks! Hi Pamela! It is the Paul Mitchell Style Wand and I find that it works well in place of a hairdryer and brush. It’s nice to have a bit more control of your hair versus it blowing all over the place.